As part of my trunk show preparation, I decided to make up new samples of several patterns from my book, “Super Swift Quilts”. 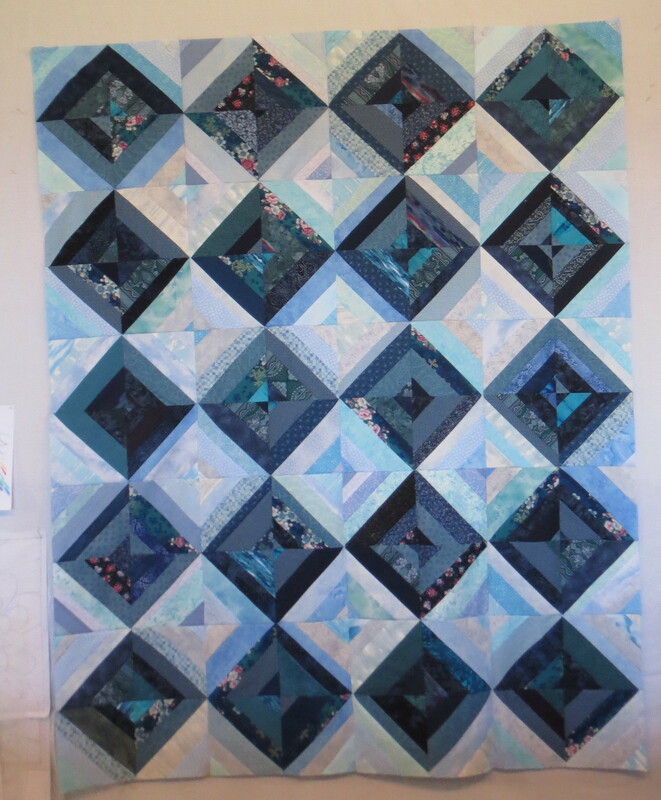 A couple of them I hadn’t actually made before – I had made up one or more blocks as I was writing the book, but hadn’t completed a whole quilt. These three (shown below) are all easy. Rail Fence Flags goes together really fast. Triple Pinwheels looks a lot harder than it is! The mitered borders on “Lattice in the Window” are a little time consuming. 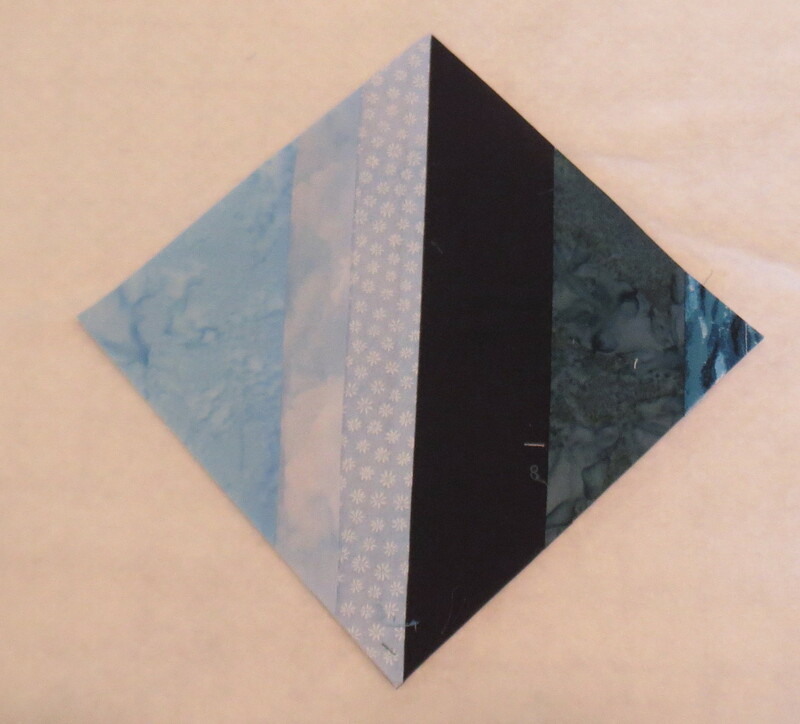 The easy piecing of the center goes quickly (a couple of hours at most, once the pieces are cut) but expect to spend an equal amount of time on the mitered borders. 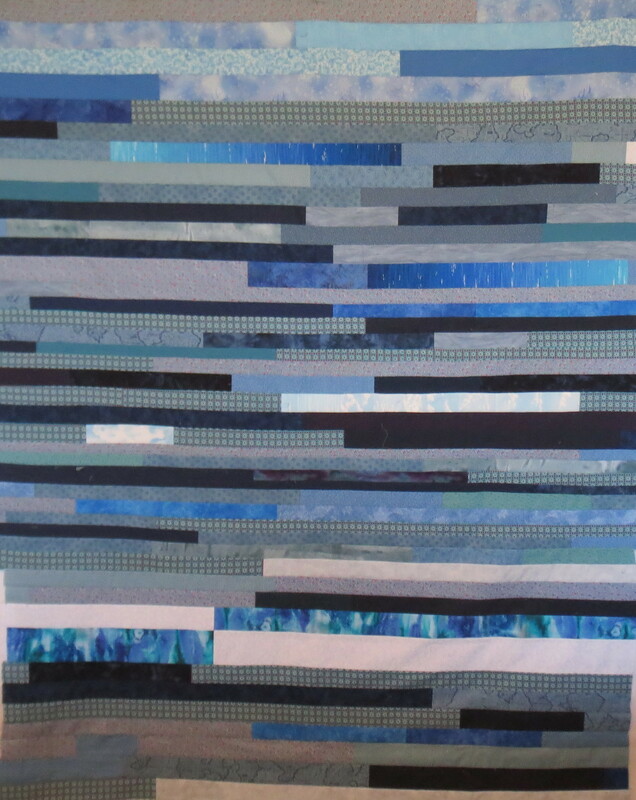 This entry was posted in Contemporary Quilts, Lap quilts, Quilt Patterns, Quilting, Simple quilts and tagged easy quilts, quilt patterns, quilting, simple quilts, square quilts on July 31, 2013 by Shirley at Mystery Bay Quilt Design. 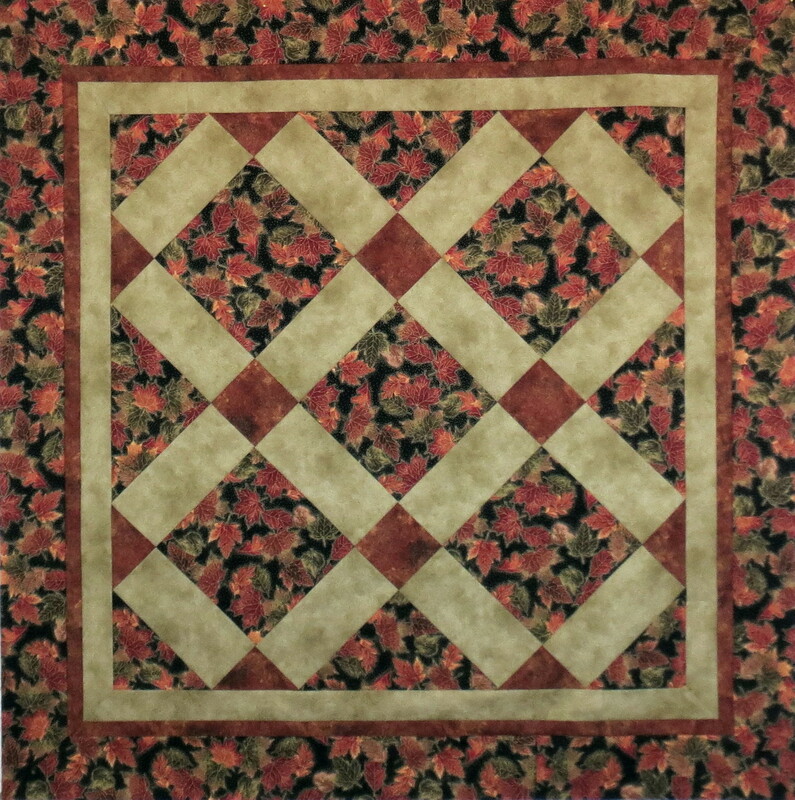 I am pleased to announce that I have uploaded fourteen FREE quilt patterns to my PatternSpot store. 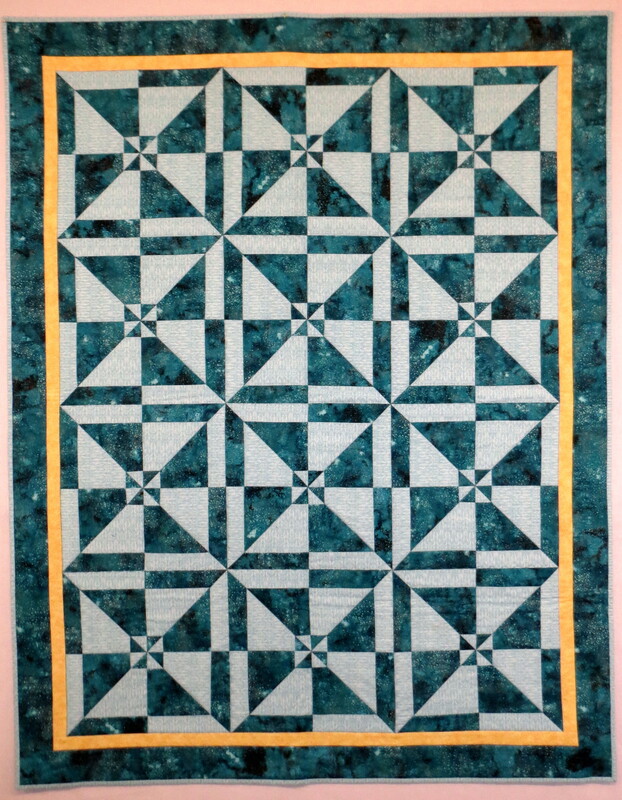 These patterns are very simple ones, first developed some years ago for use by my guild for charity quilts. 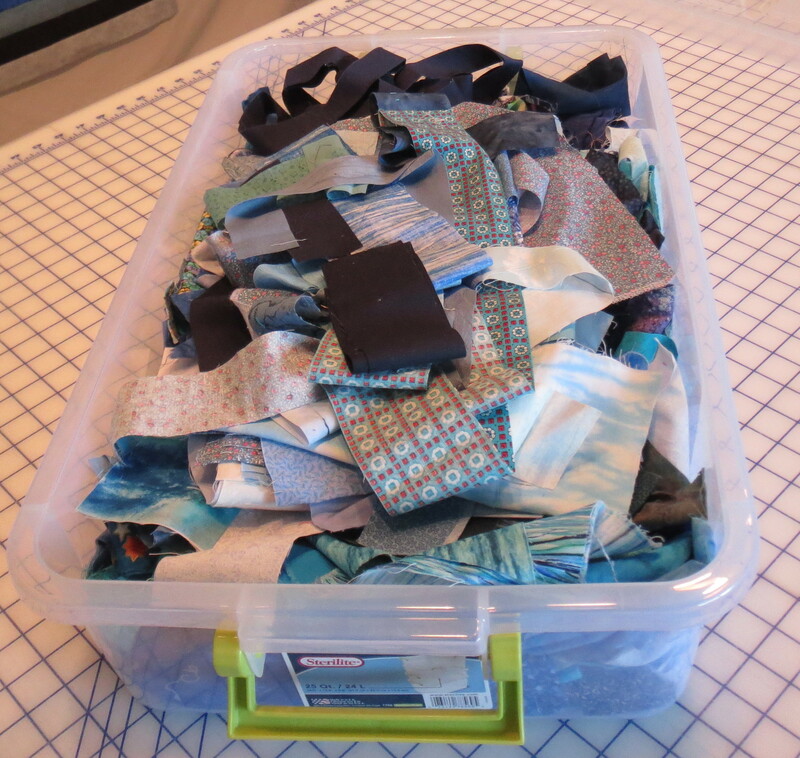 Because the calculations are already done for yardage and cutting requirements, you can get a running start on quilt construction with these patterns. Check out my Patterns page (scroll to the bottom) and you will see thumbnail pictures of each free pattern. I hope you will find them useful! 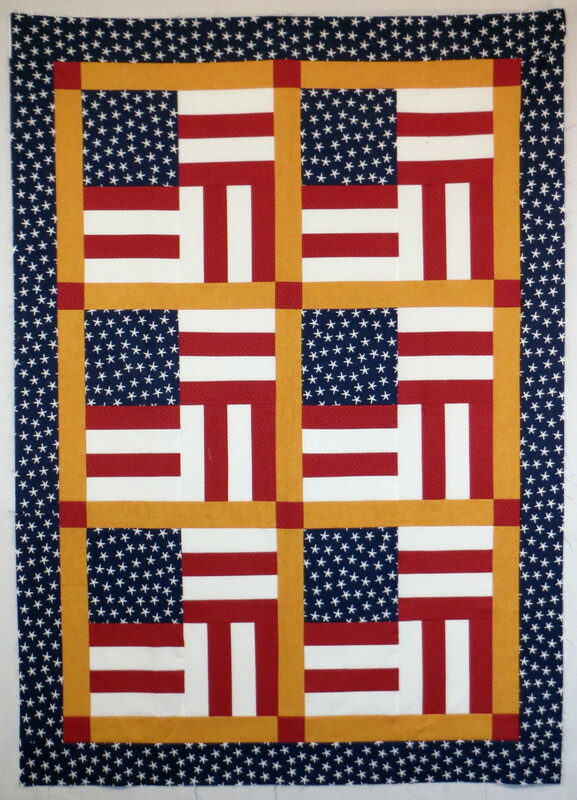 This entry was posted in Free quilt patterns, Lap quilts, Quilt Patterns, Quilting, Simple quilts and tagged easy quilts, free quilt patterns, lap quilt patterns, quilt design, quilt patterns, simple quilt patterns on July 4, 2013 by Shirley at Mystery Bay Quilt Design.